The Chicago Cubs traded outfielder Jorge Soler to the Kansas City Royals for closer Wade Davis on Wednesday. The one-for-one deal involves two former Midwest League players. 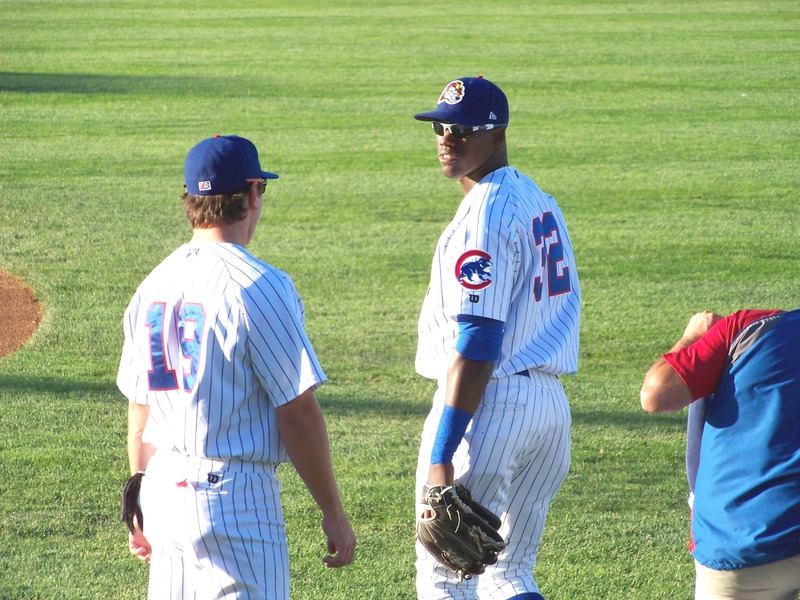 Soler played 20 games for the 2012 Peoria Chiefs, batting .338 with 3 HR and 15 RBI. His departure leaves the Cubs with only two major-leaguers who played for the Chiefs: Javier Baez (.333 BA, 12 HR, 33 RBI, 20 SB in 57 games with the 2012 team) and Matt Szczur (.303 BA, 5 HR, 29 RBI, 17 SB in 72 games with the 2010-11 teams). 2012 was Peoria’s last season affiliated with the Cubs. Davis pitched for the 2006 Southwest Michigan Devil Rays, going 7-12 with a 3.02 ERA, 165 strikeouts and 64 walks in 146 innings (27 starts). The Southwest Michigan Devil Rays left Battle Creek, Mich., after that season, and began play as the Los Angeles Dodgers-affiliated Great Lakes Loons in Midland, Mich., in 2007. Relief pitcher Fernando Rodney reportedly is close to signing a deal with the Arizona Diamondbacks. 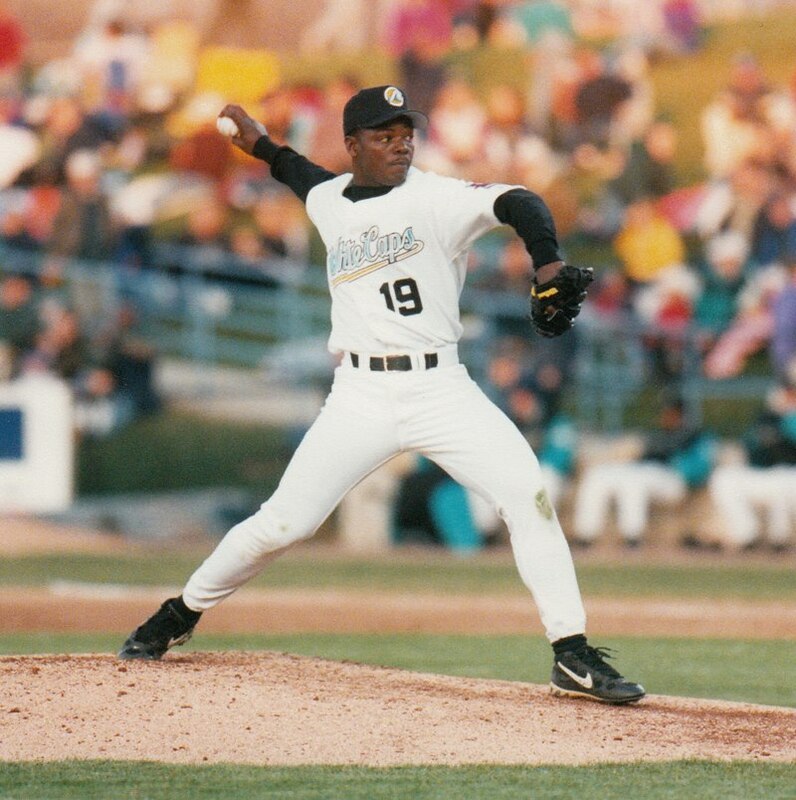 Rodney pitched for the West Michigan Whitecaps in 2000, when he was a Detroit Tigers prospect. He went 6-4 with a 2.94 ERA, 56 strikeouts and 35 walks in 82.2 innings (22 games/10 starts). This entry was posted in Great Lakes Loons, Midwest League, Peoria Chiefs, West Michigan Whitecaps. Bookmark the permalink.